I have smoked these cigars for several years now. If you want a good everyday medium bodied cigar you can't go wrong here! Smooth and lasting . Bought these on sale as an alternate to my usual smoke - makes for an inexpensive change of pace from my usual. Bought them for my husband. Very happy. This is my everyday cigar. Reasonably priced and fairly consistent smoke. SOME HAVE UNEVEN BURN BUT A GOOD CIGAR FOR THE MONEY. Good smoke, smooth. Will buy again. Oba Oba Torpedo 6 Maduro - By Perdomo is rated 4.3 out of 5 based on 14 customer ratings. 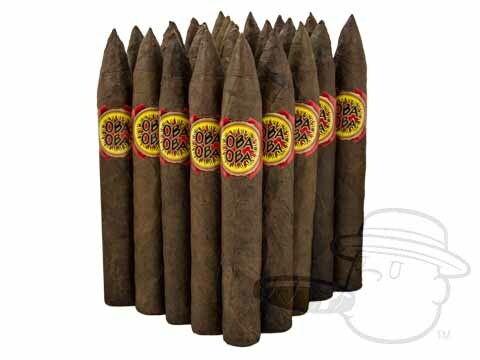 Catalog has Oba OBA Torpedo Maduro)2 bundles for $76.95 , here I am being charged $95.90 ??? On our website, the Oba Oba single and double bundle deals are listed as separate items. In order to get the double bundle discount, you must add the item to your cart that specifically states that it is a multiple-bundle deal. If you add two single bundles to your shopping cart, our system will not register it as a double bundle deal.